Healthy trees on your land beautify the landscape. They provide shade, and a well canopied tree also provides value to your home. On the other hand a dead tree can diminish the value of your property and as if that was not enough, they are also extremely dangerous to have on your property. Read on further to find out about the dangers of having a dead tree on your property. The wood of dead trees becomes brittle and is inclined to break easily. This is because the tree can no longer replenish itself with moisture and nutrients so it loses its health and strength. This can cause damage to your home, car and property. More importantly it can cause injuries to pets, stray animals and human life. Every year there are over 100 fatalities due to falling limbs and trees in the US. If the dead tree is situated on your property that caused an injury to somebody else, you will be accountable for negligent maintenance involving premises liability. Since the dead trees are prone to ruptures, it is highly likely that it causes harm to the overhead utility and power lines because of a falling limb or a large branch. As a consequence, whole neighborhood could suffer from power outage which is not just frustrating but also dangerous for people who rely upon electric medical equipment. Furthermore, the dead tree can also damage telephone lines. The effects of a dead tree’s limbs or branches falling on parked cars or on your house are devastating. You will have to spend thousands of dollars to rectify the damages caused by the dead trees on your property. In a highly unfortunate circumstance, the tree could destroy the property of your neighbors as well which will make you accountable to pay for the losses incurred. Pests are attracted to dead trees. 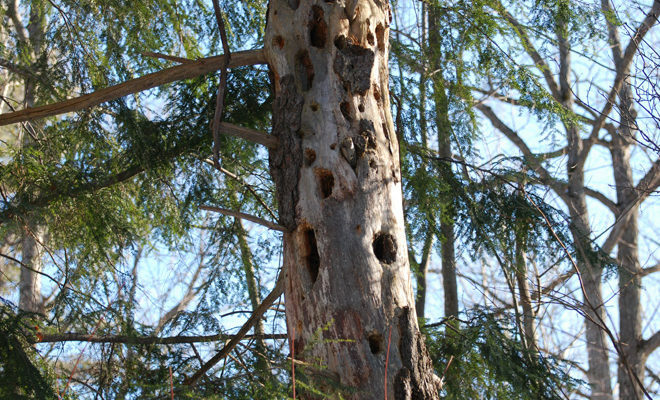 Carpenter ants, termites and other such insects make colonies inside dead trees. As they multiply in numbers, they are making your house vulnerable to a deadly infestation as well. It is common knowledge that rodents such as rats create homes in dead trees. Rats in trees on your property is a clear sign that your house has either already been invaded by them or soon will be. The tree could have died because of a disease. This is extremely dangerous to other trees on your property as tree diseases are contagious and can spread. Just a seemingly harmless dead tree on your property will end up ruining your entire garden landscape. If you have a dead tree on your property and need a Certified Arborist to assess your trees health or need the tree removed. Call Custom Tree Surgeons today (904) 292-9226.